Today I want to share with you something that I find absolutely revolutionary, it’s the IRÉN SKIN VAPORIZER device! 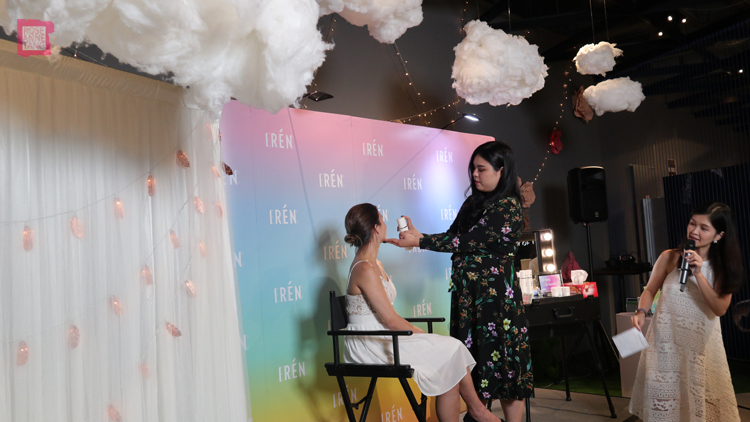 Just a few days ago, I was invited to do a few make-up demonstrations for their launch event and I can’t wait to share more with you about how unique this new device really is! 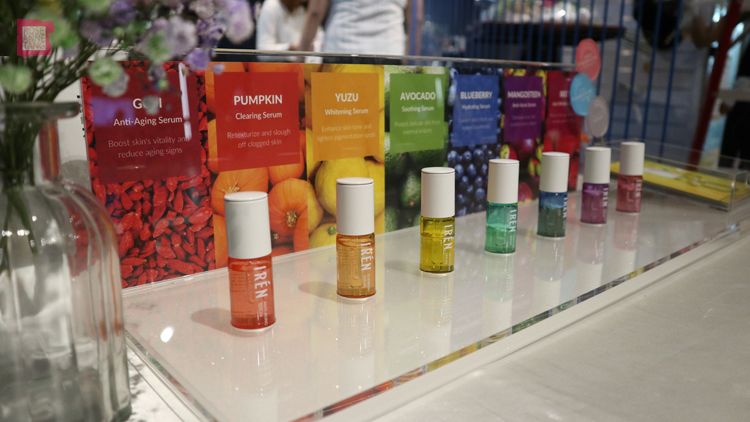 If you don’t know, IRÉN is a skincare care company focused on creating skincare products for busy women. They believe that all women can be busy and beautiful at the same time. 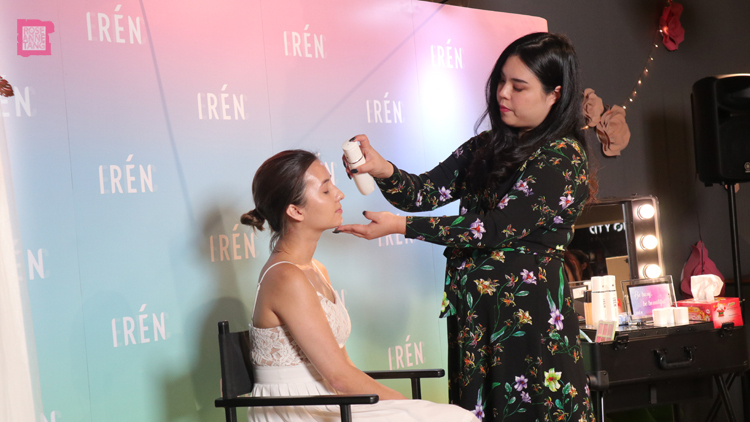 In fact, IRÉN launched the world’s first sprayable serums which is the quickest way to get smooth, youthful and make-up ready skin. The IRÉN SKIN VAPORIZER is a device that nano-sizes nutrients to swiftly and efficiently feed the skin. What you get is an extremely fine mist that is able to penetrate the skin with you skincare of choice, even those with higher viscosity which makes this device really special. The benefits to using a device like this versus your hands is that you get more absorption, less on your hands, and you say goodbye to wastage, bacteria and uneven application. Skincare and serums are fine and evenly dispersed for optimal coverage and maximum absorption. The Skin Vaporizer shrinks the serums into nano-sized nutrients, enhancing the fast absorption of active ingredients. You can simply load the capsule up with the IRÉN serum of choice and you can press the silver button and the spray comes out so fine like mist. The device has a USB rechargeable battery and I heard that they will also be coming out with interchangeable capsules as well. You can see just how fine the mist coming out of the device is here that I posted on insta-stories earlier this week. 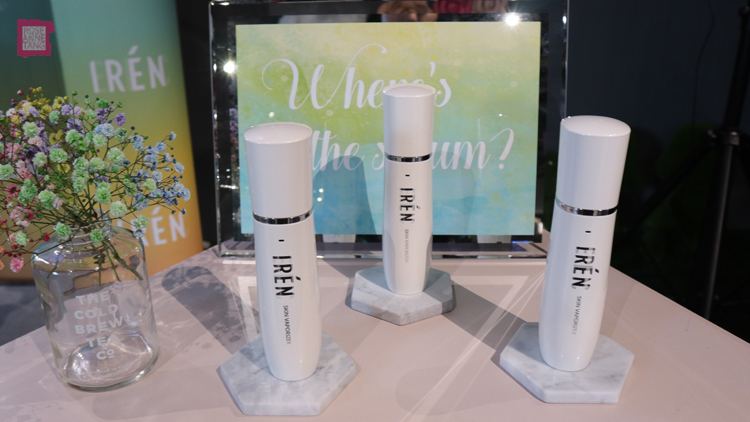 IRÉN actually has created a number of serums that the device is specially fitted for. My favourite serums are the soothing and hydrating serums which I think are most needed for myself. I tried the soothing serum when I had a rash the other day and it really did help to soothe my skin. For pre-make-up application, you can also mix the serums into your device – such as soothing and hydrating – to get the best of both worlds. 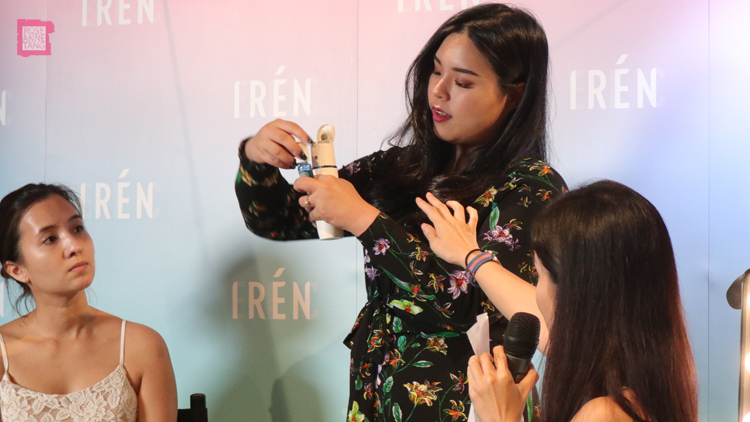 It was so fun to demonstrate the use of the IRÉN Skin Vaporiser on my lovely models during the event. And, what I really really love about this device is that it can really take you from wake-up to make-up. First off, I’m starting off with the IRÉN Soothing Serum, adding it to my device. This serum will help soothe the skin, clear redness and prepare for a flawless and smooth base. I’ll also add a few drops of the hydrating serum for moisture too. Then switch it on and let the mist do the talking. Skincare is deeply penetrated and there is no patchiness that comes with applying it with your hands. 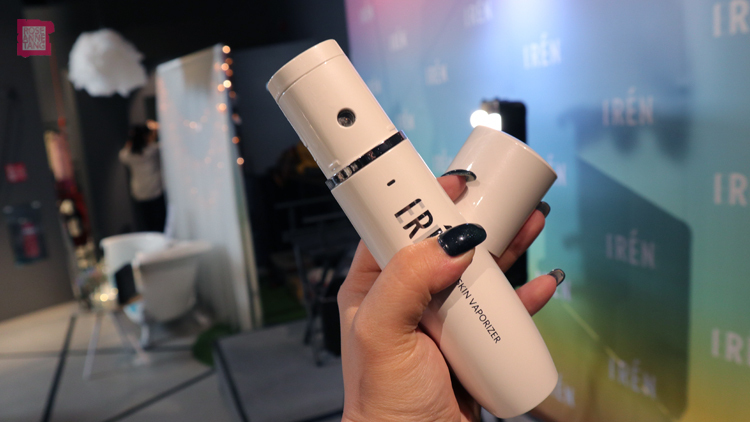 I bet you can’t believe this, but the IRÉN Skin Vaporizer works with makeup too! I’m going to take my liquid foundation and add it to the IRÉN Skin Vaporizer, a couple of pumps will do, and I will proceed to airbrush the face. This works with all liquid make-up products actually which I don’t find that ability with other devices. It’s so easy to get up in the morning and spray your face and you’re done. Yes, even I have those mornings when I don’t always feel like putting a ton of make-up on and this is so perfect. Especially when sometimes I have to wake up at 4am to do a bride! You can see how perfectly disbursed the product is, it really looks like a second skin. 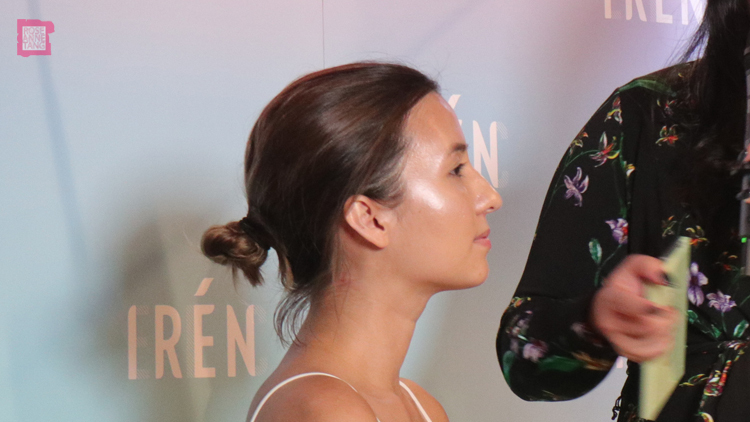 Next, the K-glassy skin is all the rage now right, so I’m going to add a liquid highlighter to the face and you can see how the skin now instantly transforms! With the device what is interesting is that I initially thought if I put a highlighter on, it would spray everywhere and I wouldn’t be able to do precise application. I was so wrong! You can see on the model’s face that I can actually pinpoint the device onto the face and it turns out so gorgeous. Seriously I did not use my hands or needed to use my hands to blend anything out! Overall, the IRÉN Skin Vaporizer is really a unique and interesting device, worth checking out and buying! It is so cool that it works so well with liquid make-up products and of course you don’t have to touch the skin at all. 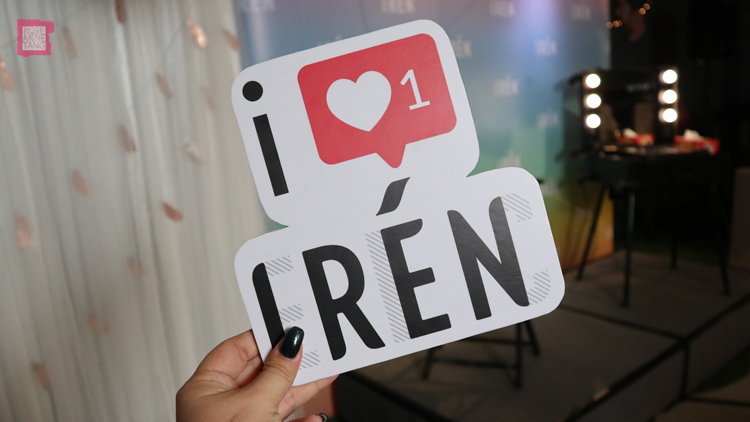 Thanks IRÉN for having me!